Why Does My Exterior Paint Job Fail? A paint job can only be as good as the surface we are painting over. Many layers of misapplied paint result in massive failure. 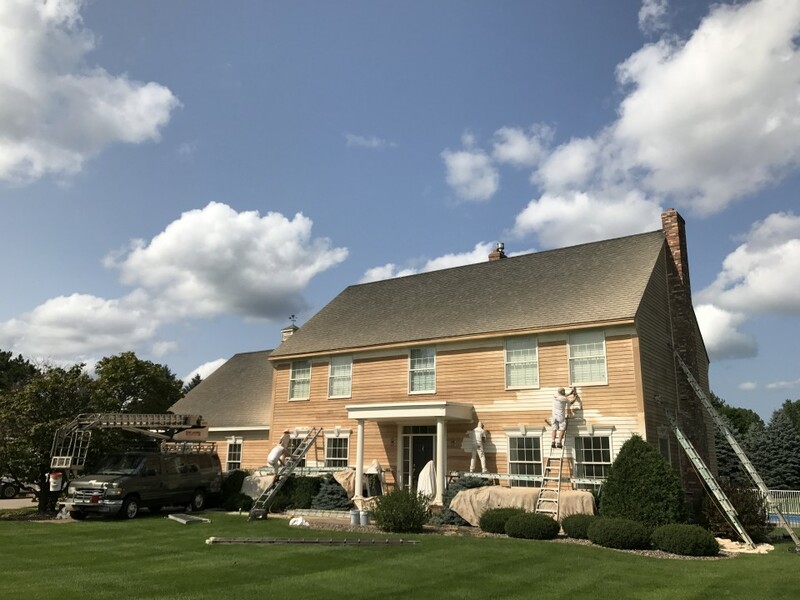 All paint manufacturers and industry analysts agree that preparation on an existing painted house normally takes about 70% preparation and 30% painting, most painters and homeowners do quite the opposite. We are in the progress of removing all the paint from this home in North Oaks, Minnesota due to this problem. Preparation, preparation, and more preparation is the key to a long lasting paint job and that’s exactly what Lake Area Painting does!